If you live in California, you may consider yourself a lucky person, because the Global Weed Metropoly, as many people like to call Cali, has some of the most laid-back laws in regards to cannabis. The medical use of marijuana was legalized in California in 1996 when Prop 215 came into force. Moreover, the recreational use of cannabis is legal here since 2016, and people can finally purchase legal marijuana from dispensaries since January 2018. Wherever you look, marijuana is legal in California. But let’s say you still want to obtain a doctor’s medical marijuana card online. Perhaps you want to try it for the first time and you qualify for the MMJ program, or your medical card is about to expire and you need renewal. Whichever reason it is, this article is for you, because we’re going to discuss the 3 best ways to get a medical marijuana card online in California. Nevertheless, before we elaborate on that part, let’s analyze the whole process of applying for a medical marijuana card in California. 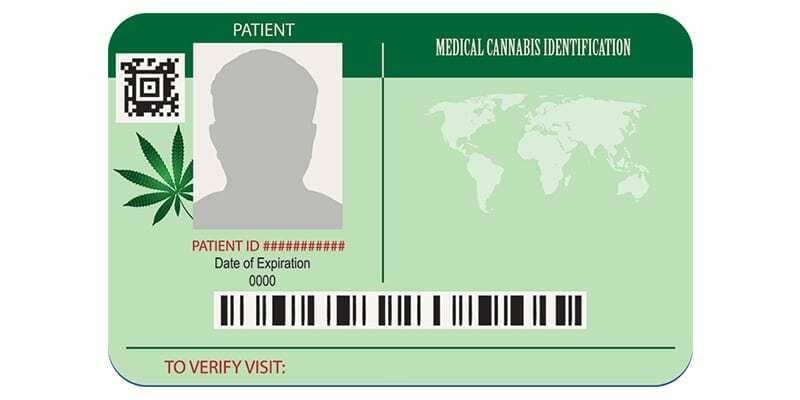 Getting a Medical Marijuana Card in California: How Does it Work? Like we said, California has adopted some of the most lenient application processes in the U.S. through Prop 215. That being said, if you live in California and need to obtain a medical card, you will be able to do so in minutes. In Cali, the vast majority of dispensaries accept medical marijuana cards and recommendations, which helps patients overcome the legal intricacies on cannabis on the federal level. When using one of the available online services to get your medical marijuana card, the item will be sent a few days later, depending on the service provider. Moreover, you will immediately get a recommendation that will help you purchase your medical marijuana much quicker. The process with MMJ card online services is like a walk in the park. Most providers will ask you to provide some basic medical information and maybe a valid proof of I.D. But before you even think of applying for a medical marijuana card online in California, keep in mind that you must be a resident of this state. Otherwise, no doctor’s service can issue you a medical recommendation. Once you upload all your documents, you will be asked to have an online consultation with a doctor, during which he/she will evaluate if you qualify for a medical marijuana card. Worry not, because doctors associated with MMJ card online services are cannabis-friendly, so as long as you’re not lying big time, you’re going to be all good. You may be asked questions about your general health condition, the medical record, and why do you think medical marijuana could help you improve the quality of your life. Like we said, it’s fairly easy. Eve though California did make a huge progress in the right direction by easing the restrictions on medical and recreational cannabis, their MMJ program is not above the Federal law which still classifies cannabis as a Schedule 1 drug. Therefore, doctors cannot prescribe medical marijuana because due to the contradicting laws; otherwise, they could lose their licenses. Fortunately, the California Medical Marijuana Program allows them to write medical marijuana recommendations. Once you get your recommendation, you can walk into a dispensary and choose the products you deem necessary for your herbal remedy. How to Get a Medical Marijuana Card in California Near Me? California has long been like a bullet train when it comes to cannabis. As we speak, Prop 64 came into effect in January 2018 when the state legalized the commercial sales of recreational cannabis. Nonetheless, some people like to approach things in an extremely safe manner, which is why it’s good to have a medical marijuana card just in case you found yourself between the state and the federal laws. There are more than 250 reported uses for medical marijuana. The most common cases of application for the MMJ card includes patients suffering from chronic pain, anxiety disorders, cancer, AIDS, migraines, seizures, and other conditions that make you a “prime candidate”. But worry not, as a recommendation can be issued for “any other illness for which marijuana provides relief.” If there are any marijuana-friendly doctors near you, don’t hesitate and make an appointment. Any California-certified doctor can write a recommendation for medical marijuana and get you a medical marijuana card online or locally. As mentioned before, unlike other medications, marijuana cannot be prescribe, as this would violate federal law. Not only licensed physicians will be able to explain the benefits of cannabis, but they can also be of assistance when it comes to establishing your strategy for administering marijuana. And while a visit to your primary care physician is a good option, you might want to see a doctor who specializes in medical marijuana recommendations. Cannabis-friendly physicians will honestly evaluate if marijuana will be beneficial for their patients, and if they the decision is positive, they can also make suggestions about what particular marijuana products and strains to try. If you want to find a list of doctors who specialize in medical cannabis evaluations, we suggest that you visit California Norml and see if there is any physician near you who could write you a recommendation. It’s all the better if you can include any paperwork that documents your health condition, as it will help doctors get you qualified for the program. But most importantly, remember that cannabis-related products or visits are not covered by insurance, so be prepared for an extra expense. Thinking of getting a medical marijuana card online in California? We’re bringing good news, then: it’s totally doable. And better yet, it’s very easy. NuggMD allows you to have an online evaluation with one of the 420 doctors to get your medical marijuana card in California. Their recommendations are valid at all California marijuana dispensaries for a full year, so it’s definitely worth a try. NuggMD is ranked at the top of the list simply because of the clear and simple application process, service, and overall experience. The company has been around for a while; they have been helping patients in California since 2008 and they pride themselves on having over 100,000 patients satisfied with their services. Sign up on their website and submit any files that document your medical record. Don’t be afraid, your details are kept totally private in accordance with HIPAA standards and won’t be found on any public database. Before you make an appointment for your evaluation, decide whether you want just a doctor’s recommendation letter (which will totally suffice), or a medical marijuana ID card which is convenient for regular visits to the same dispensary. Schedule a consultation with a doctor. The MMJ evaluation generally lasts just several minutes and involves an easy phone call or video chat about your current condition, medical record, and how medical marijuana could help you. Once you’re approved, check your e-mail inbox for the digital PDF version of your recommendation. You can use it the same day – all you need to do is print out the recommendation and go to a dispensary. Your medical marijuana card and the official recommendation letter will be sent to you in the mail after 2-3 days. Price: Whether you are a new patient or just need a renewal, it will cost you only $39. However, if you need a physical plastic card, you will need to spend $10 more. GetHeally is our second-best provider on the list of the best medical marijuana card online services, and for a good reason. The company offers an amazing customer service. Once you sign up on their website, a chat box pops out suddenly, with one of their representatives taking you through the entire process. According to the explanation from the staff, the MMJ card online process is extremely easy to pass and will take no more than 20 minutes, including the evaluation. More interestingly, for people living in San Mateo or Los Angeles, the company has prepared in-person support via GetHeally connect. What’s best about their website is that this is a 100% online services, with no hidden costs – everything is perfectly transparrent. Finally, all physicians are California-licensed and the company is HiPPA-Compliant, meaning all your information won’t leak out to the public. Enter a 3-stage process. It’s fairly easy, but if you fail somehow, the GH stuff will be there to help you out. Schedule a consultation with a doctor. Again, it takes a few minutes to complete the evaluation and if you’re all honest about your ailments, the doctor will probably issue the recomendation. Once you get approved, you will instantly receive a medical marijuana card online the same day. The original version will be sent to you within 2-3 business days. Price: $50. This includes your appointments and a physical version of your medical marijuana card. When we look at Eaze MD we no longer have doubts about California being the world’s capital city of marijuana. The company has shown their customers a new dimension of online medical marijuana services. Moreover, Eaze MD uses the Telehealth service to ensure your data is protected from leaking out. Similar to other online medical marijuana card services, this is a fully online service, too, so if you’re looking for a truly outstanding way to get your MMJ card online, Eaze has got you covered. Create an account on their website. The process is extremely eazy (pun intended); all you need to do is answer a few online questions in the online form to determine if medical marijuana can really help you. After that, you will have a consultation with one of the marijuana-friendly physicians. If you have any serious health concerns or need professional consultancy, it’s the best time to ask the marijuana doctor about it. Like other top-rated medical marijuana online services, Eaze MD will send you the recommendation the same day once you get approved. The physical version of your MMJ card will be delivered to you within 2-3 business days. Price: If you only need a recommendation, it will cost you $29, which is a fair price if you ask us. However, a plastic card is a bit more expensive. Q: Is my medical marijuana doctor’s recommendation permanent? A: No, you must renew it anually if you want to buy your medical marijuana. Q: What requirements should I meet in order to qualify for the MMJ program? A: You will need a valid form of U.S. identification and a condition which would qualify you for a medical marijuana recommendation. Q: Do I need a California ID? A: Typically, yes, but there’s nothing in the state’s law that requires you to be a resident of California to take part in the MMJ program here. That being said, if you know your rights and don’t mind spending a while on an argument with an office worker, feel free to do so. Q: Does my health insurance cover my medical marijuana card? A: Marijuana is still a Schedule I drug under the federal law, so no, your insurance does not cover your MMJ card. Q: What conditions can make me a prime candidate for a medical marijuana card? Q: What is the top limit for possession or cultivation with a medical marijuana card? A: At the time, according to Senate Bill 420 (SB420), a medical marijuana patient can grow up to 6 mature cannabis plants for personal use, but the state is working hard to permit patients to grow any number of plants so that their medical needs are met. How do you get your medical marijuana card in California? Is there a cannabis-friendly doctor near you or do you use online services?